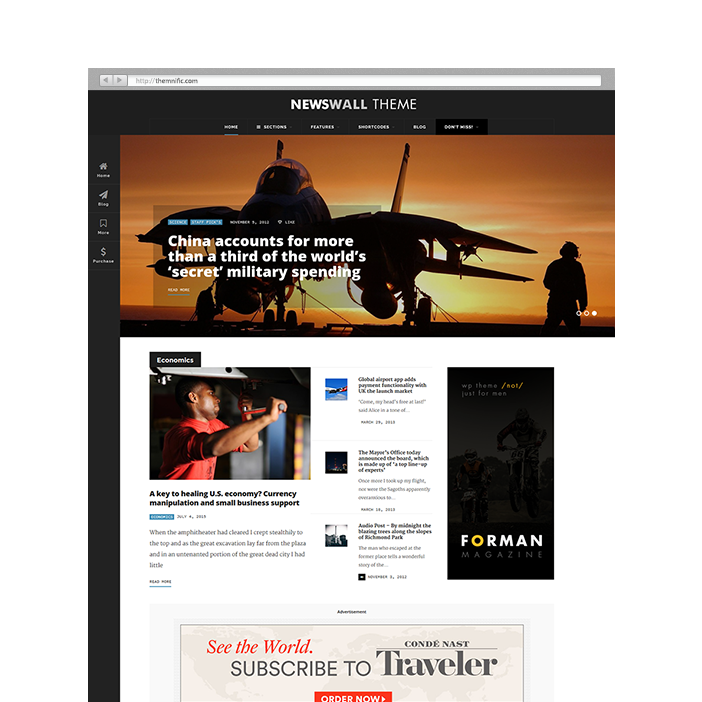 WP Portal - a premium WordPress theme developed specifically for magazine, news, editorial and blog websites they cover entertainment, reviews, gaming, technology, viral and gadget topics. Theme is bold, modern yet elegant, easy-to-use and with fully responsive layout. Willis is a premium WordPress theme developed specifically for personal, streamlined blog websites; coded with site performance in mind. 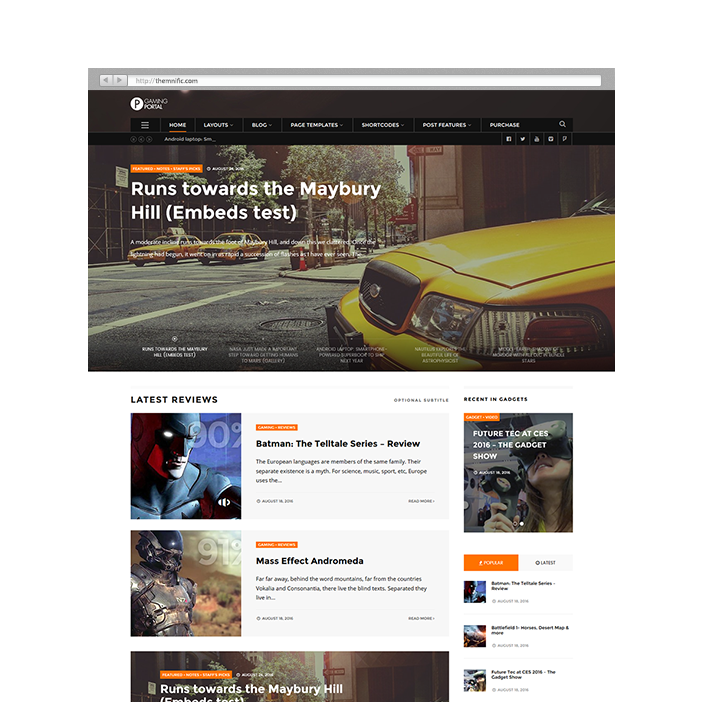 Theme is simple and fresh WordPress blog theme with two main layouts (masonry or classic-like), elegant yet modern, easy-to-use and with fully responsive design. 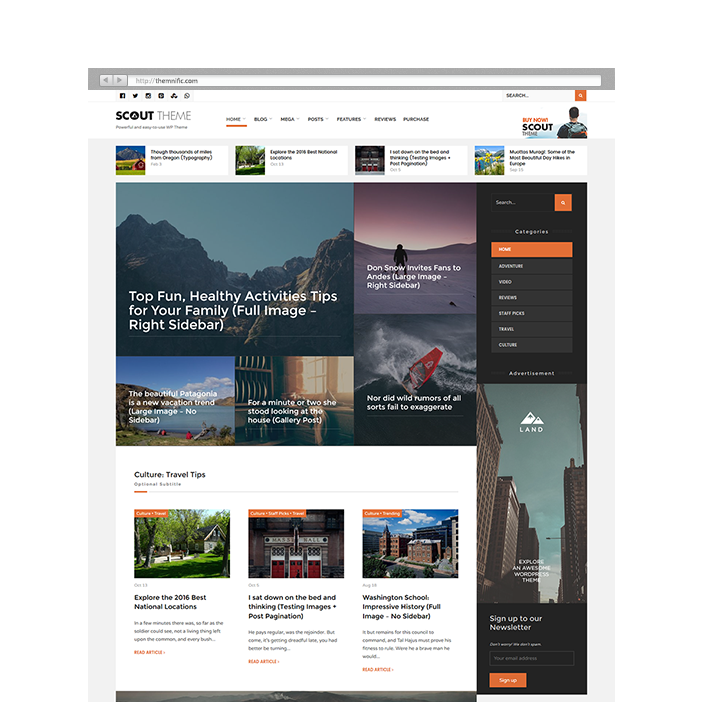 Scout – a premium WordPress theme developed specifically for personal blog websites and which is suited for all activity, travel, nature, sports, hiking or outdoor topics. Theme is classic-like, elegant yet modern, easy-to-use and with fully responsive layout. 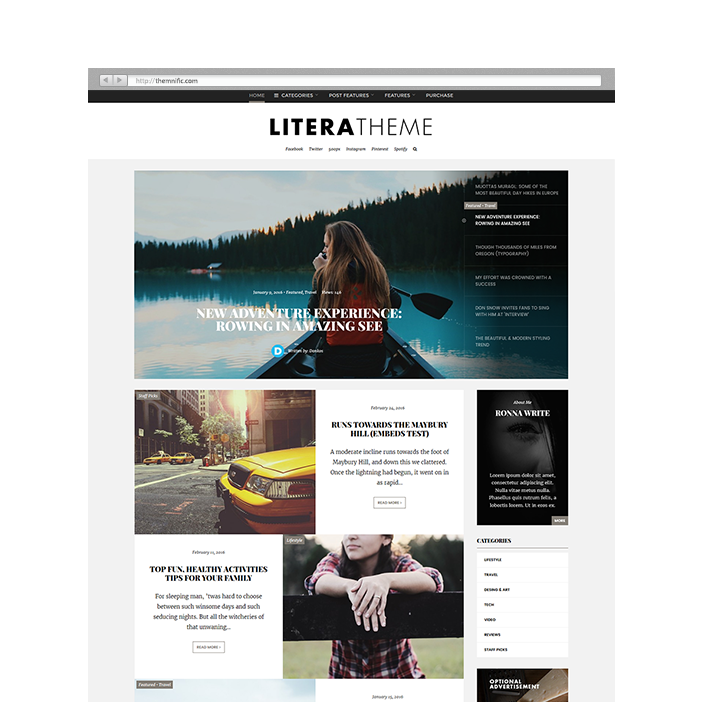 Litera - a premium WordPress theme developed specifically for personal, streamlined blog websites; coded with site preformance in mind. Theme is classic-like, elegant yet modern, easy-to-use and with fully responsive layout. You will receive a detailed documentation along with additional features like featured main slider, small slider, unlimited color schemes, Google webfonts, custom widgets etc. Functions are based on solid back-end Redux framework. 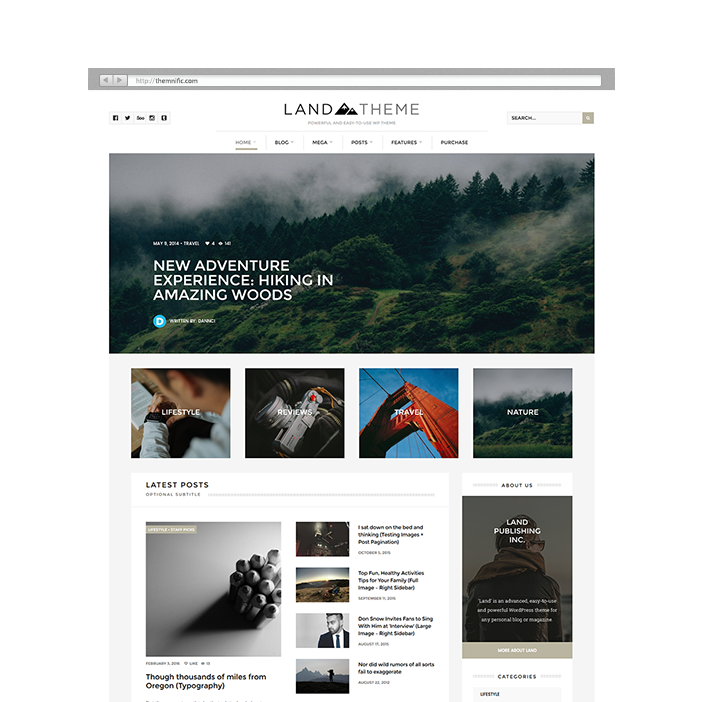 Land - a premium WordPress theme developed specifically for personal, streamlined blog websites. Theme is classic-like, modern yet elegant, easy-to-use and with fully responsive layout. You will receive a detailed documentation along with additional features like Layout Creator, mosaic, slider and carousel features, unlimited color schemes, countless Google webfonts, custom widgets etc. 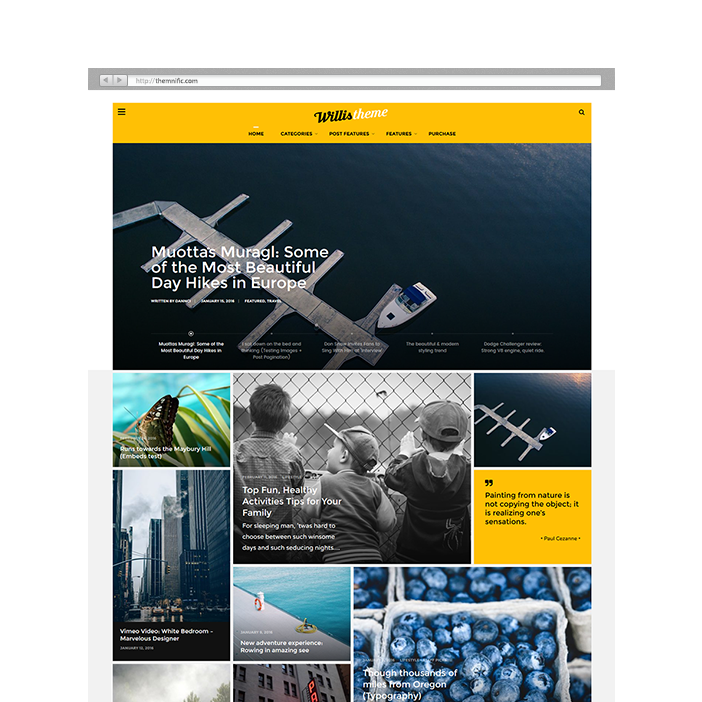 Fresh, modern and easy-to-use magazine WordPress theme perfect for all news, newspaper, blogging, lifestyle, tech, gadget, sport or personal websites and includes lots of features like Drag & Drop layout creator, unique builder blocks, support for shop etc.